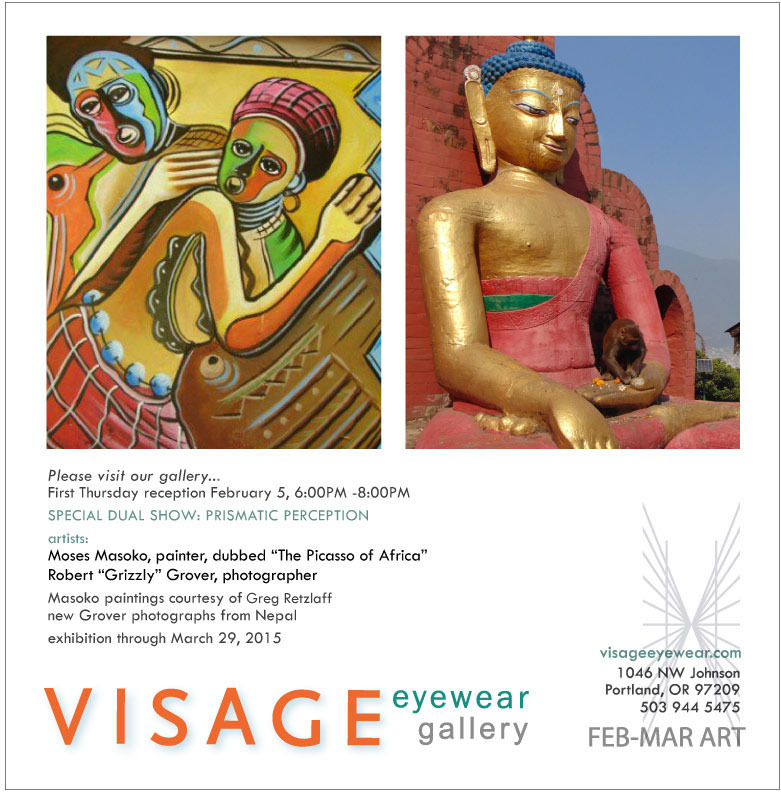 Upcoming Events: First Thursday at Visage! Please join us on Thursday February 5th from 6-8pm for a special opening reception featuring two collections; paintings by Moses Masoko and photography by Robert “Grizzly” Grover. Refreshments provided. ‹ Getting Hitched? Eyewear for Brides!